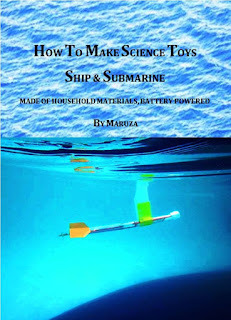 This book is a complete guide to build model boat and submarine with electric power, and made of household material such as: polystyrene, drinking straw, rubber band, zinc plate, etc..
Boat and submarine are an application of Archimedes’ principle. 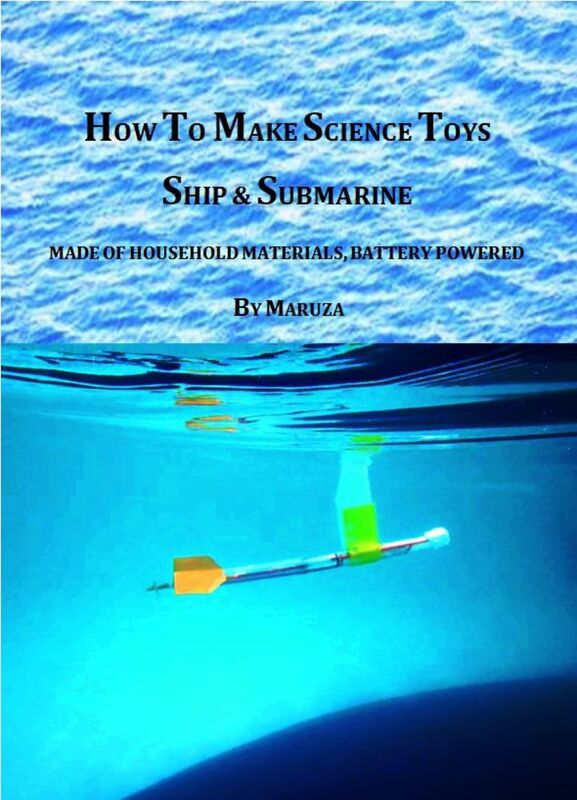 This book guides reader to build science toys to learn and practice Archimedes’ principle. Beside Archimedes’ principle, hydrodynamic (the study of liquids in motion) also become a major consideration to ensure boat and submarine to perform well. Hydrodynamic not only determines boat and submarine body design, it determines also propeller design. By understanding about Archimedes’ principle and hydrodynamic, the submarine can be set to dive, hover in water, and resurface.